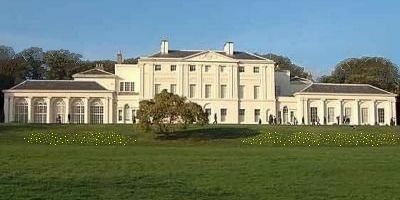 Now is the time to think about visiting Kenwood House on the edge of Hampstead Heath: art, architecture, parkland by Humphry Repton, the Adam's Library, the Iveagh Bequest, Vermeer's Guitar Player, Gainsborough, daffodils and no midges. We need a week of warmth and sunshine to bring the daffs into flower. I couldn't find a photo taken in Spring, so I had to work from memory and add the daffs and try to make the trees look wintry. Click the London icon or the title link. Still worried about bird flu?